The following article, dated June 3, 2016, was published on the Associated Press website. 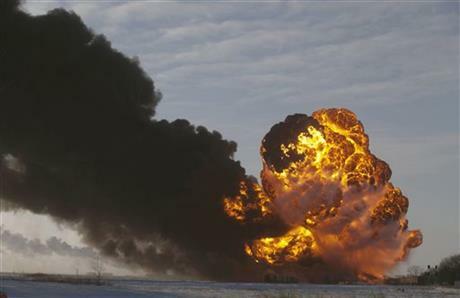 It lists 14 devastating accidents involving oil trains occurring from July 2013 to June 2016. It is being posted here to remind the supporters of SWLRT of the life-threatening possibilities right here in our own back yard if SWLRT is routed on the Kenilworth Trail. Accidents involving oil trains along the Kenilworth trail would likely be even more devastating because of the proximity to the light rail electrical lines. And the devastation would likely include fatalities because of the proximity to residences.